Nappy Bags are one of the most important accessories when you have a little one. We have hand picked a selection of stylish, functional and cleverly designed nappy bags that are thoughtfully designed to carry all the things a mum needs, and have them easily accessible. 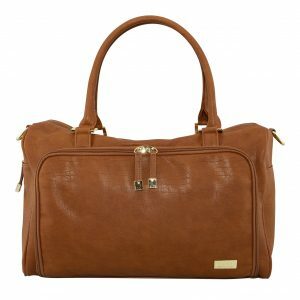 Browse our selection of gorgeous statement bags full of style and function that last well beyond the nappy years. Our nappy bags are made from wipeable or washable fabrics, including the lining to ensure any spills or spews can be removed without a trace. Many of them have cleverly removable take along changing kits that include a wipes case and changing pad so that makes it one less thing to buy for your bag. Most also includesthe fold out nappy change pad ensuring you always have a clean soft surface to change bub on. They all are packed with clever pockets specifically designed for items such as nappies, bottles, creams, sunnies, lip gloss and mobile phones. Nappy Backpacks are one of the handiest ways to tote all the things you need for bub. With loads of easy access pockets all your baby needs as well as your water bottle, sunglasses, keys and purse are within hands reach. Plus you are hands free while the backpack is sitting comfortably on your back. 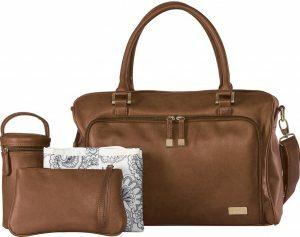 At KJ Essentials we understand that it not just the mums who are using a nappy bag, so we have a great range of unisex styles for dad. 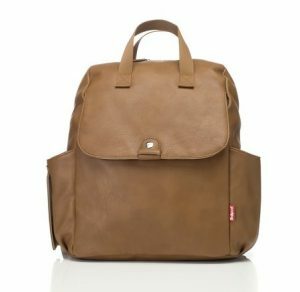 We also have a great selection of styles from backpacks, hobo nappy bags, satchels, messenger bags, baby totes and carry alls. 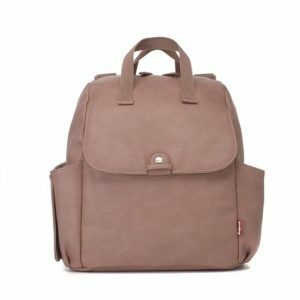 We are the proud stockists of award winning baby bag brands such as Isoki, Vanchi, Skip Hop and Storksak.